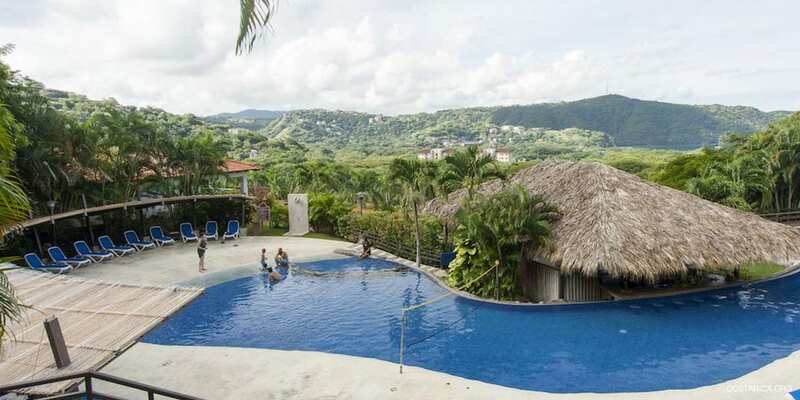 Villas Sol Costa Rica : Splendid And Convenient Location ! 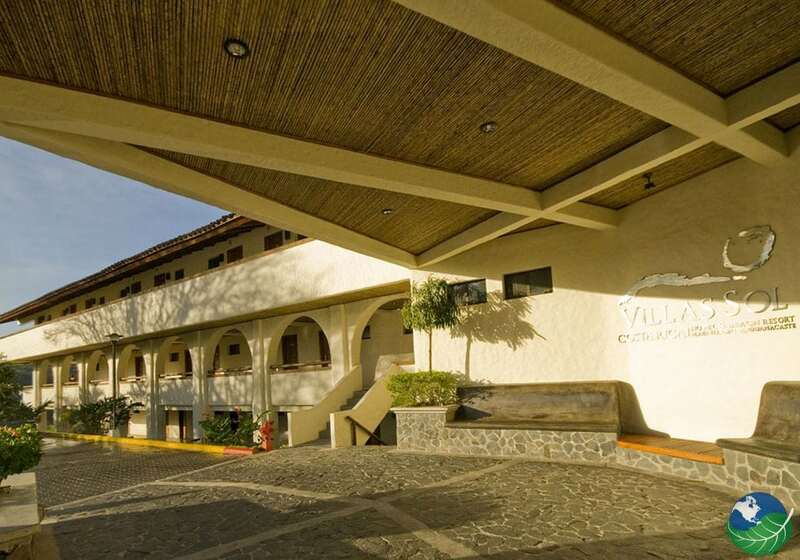 Villas Sol Costa Rica Hotel And Beach Resort – All Inclusive. 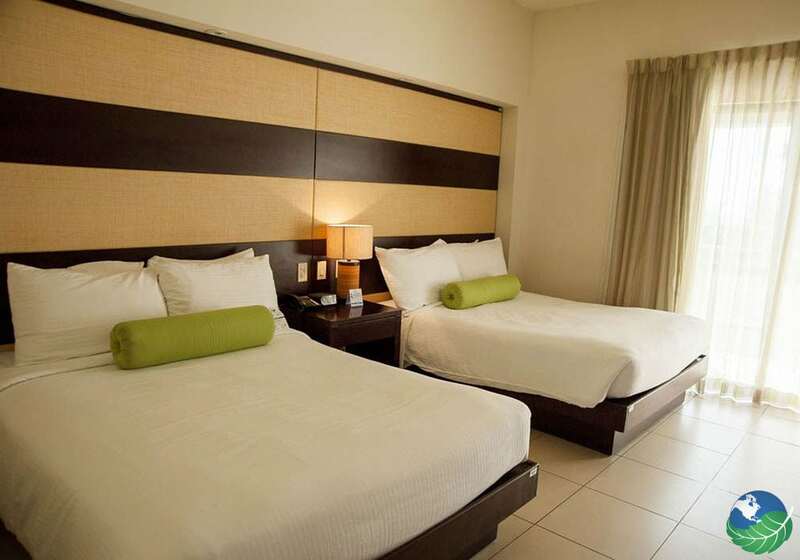 Located in one of the most popular regions of Costa Rica, and is known to be one of the best Hotels in Costa Rica. Playa Hermosa, or Beautiful Beach, is located in the province of Guanacaste. Very near the Gulf of Papagayo, known for its crystal blue water and bright sunny days. The hotel is resting on the hill overlooking the little bay, and it offers a stunning view of the Pacific Ocean Also, with a spectacle of flamboyant sunsets every single night! The gray sand small bay forms a perfect horseshoe. Surrounded by lush tropical vegetation. This resort is only 35 minutes away from the Daniel Oduber Airport in Liberia. And just 4 hours away from the Juan Santamaria Airport in San Jose. An excellent selection for an exotic vacation, with an incredible choice of activities to choose from. There is never a dull moment at Villas Sol Costa Rica. 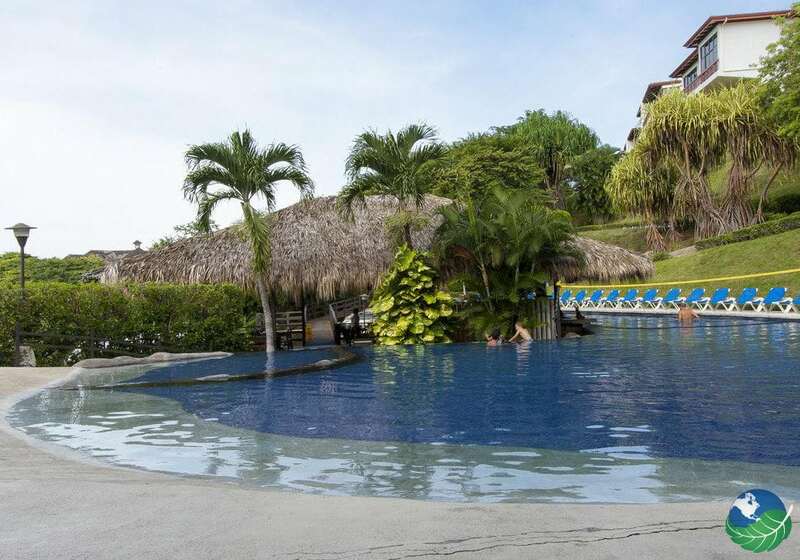 Whether you would like to choose between one of the Tours of Guanacaste, or just relax in the hotel; you can have fun in one of the pools. Enjoy a cold drink or take part in one of the all-inclusive vacation package activities such as Yoga and Pilates class. The staff will make sure you leave fully satisfied and enjoy your stay to the fullest. There is daily entertainment in the evenings with Karaoke and Live Music. Professional stuff is there at your disposition to take care of your children for you and provide them with activities. For example swimming, games and handy crafts, sports and movies for kids with pizza, hot dogs and drinks. The hotel also organizes special tours that include boat trips in the magnificent Gulf of Papagayo and sailing trips aboard Jessica Anne, a splendid yacht complete with specially trained crew and full safety. Please take note that these special tours are not part of the all-inclusive program. The 54 deluxe hotel rooms and the 106 villas overlook the entire Bay; most of them have a stunning view of the ocean while others set amongst the abundant and lush tropical jungle of Guanacaste. Most villas also have their private little pools. There is a choice of one bedroom villas that sleep up to 3 with a fully equipped kitchen, private terrace, living room equipped with a sofa bed, one spacious bedroom with a Queen bed and view over the ocean. The two bedroom villas sleep up to 4 people with two bedrooms while the three bedrooms sleep up to 8. 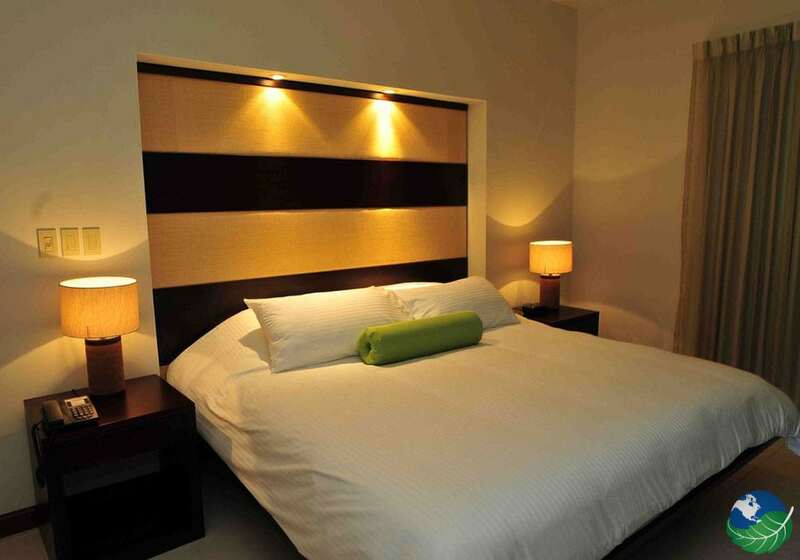 The luxurious hotel rooms have two double beds with a private bathroom and a balcony. All villas and rooms come equipped with TV and telephone, air conditioning, coffee maker, mini bar, safety box, hot water and hair dryer. The Bahia restaurant, strategically set to offer the best views, serves typical dishes of Guanacaste, and a variety of international and American cuisine and snacks. Enjoy a plate of fruit or the typical rice and beans for breakfast with a great cup of Costa Rican coffee. Try the chef’s specialties with a choice of Mexican, Italian, Caribbean and Spanish dishes. 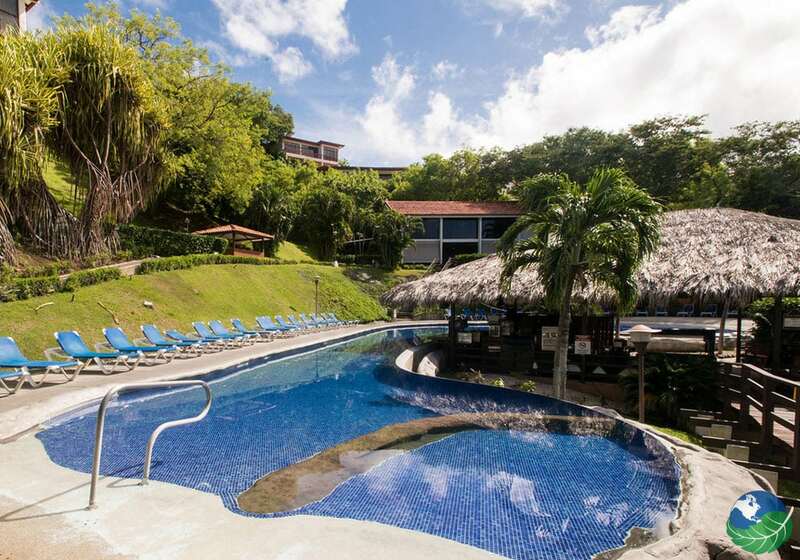 The Villas Sol Costa Rica promises to bring you a holiday of a lifetime; with its stress-free all-inclusive program, wonderful tours, beautiful pools, and amenities. And its wonderful rooms and villas, you can just lay back and enjoy the great weather, the beautiful beach and have lots of fun and relax time. The sea’s also perfectly safe for swimming in Playa Hermosa; remember that you are close to the most beautiful Costa Rican Beaches. If you like to surf, you are only minutes away from the top class wave. However, Playa Hermosa is great for diving, snorkeling, kite surfing and skims boarding. 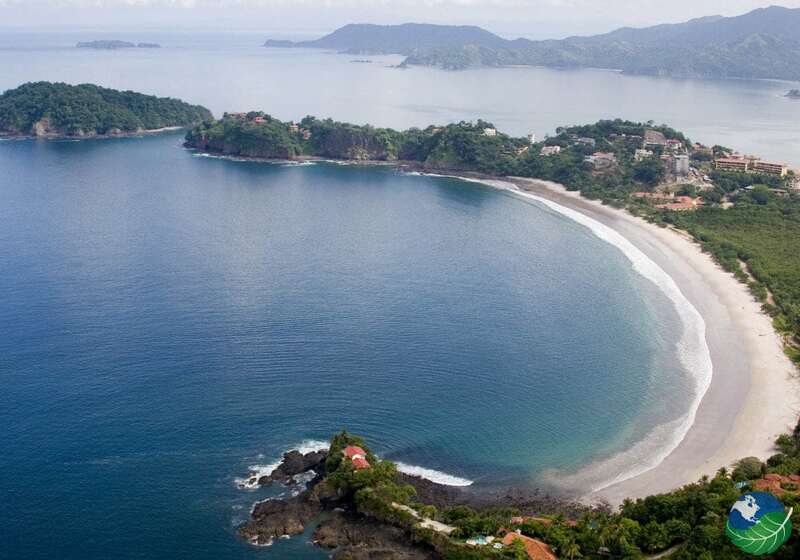 Playa Hermosa granted the Blue Flag by the Costa Rican Institute of Tourism as a reward. All for its cleanliness and the continuous efforts to preserve the environment, flora, and fauna. Playa Panama. All Inclusive, Beachfront Pool, Jacuzzi, Restaurant, Shop. TV, Phone, Safe Box, Private Jacuzzi, Hair Dryer. Babysitting Service, Laundry Service, Concierge, Room Service.